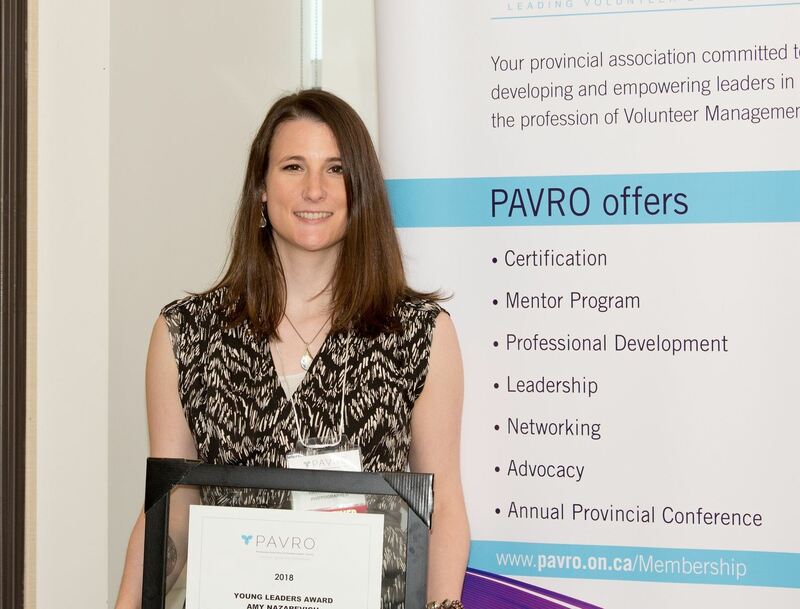 The PAVRO Young Leader Award was created to recognize and encourage excellence in the up and coming generation of leaders within the Volunteer Engagement profession. It acknowledges a professional, aged 35 years and younger (age 35 within calendar year award is presented) who is working directly in the profession and has demonstrated leadership and excellence in Volunteer Engagement either within their organization and/or accomplishments within the professional body (by certifying, volunteering, contributing articles, research or submissions to projects such as the Marilyn Mackenzie Innovation Pilots, etc.). The successful recipient will receive a $100 credit towards PAVRO activities or events (Conference, workshop or membership) and a personal letter will be sent to the recipient’s supervisor to inform them of the award. Nominations Now Open! Deadline to submit is March 15, 2019. Nominate someone you know for the Young Leader Award. Amy is the Coordinator of Volunteers for Sarnia-Lambton Rebound and is also the Social Media Coordinator for PAVRO.